Would you take lessons in business management from the Mad Hatter? Charles Jennings, British “thought leader” and learning and performance consultant thinks that might not be such a bad idea. 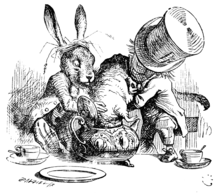 In a January blog post Managers and Mad Hatters: Work that Stretches, Jennings takes events from tea party and turns them into lessons in leadership for today’s managers. 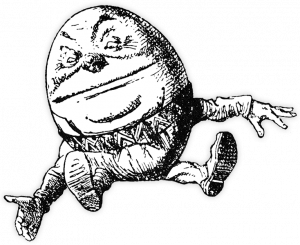 The post is the last in a series of three which uses Alice’s adventures to illuminate strategies for effective learning in the workplace wonderland. Previous posts covered “The Lobster Quadrille for Learning and Development” and topical advice from the Cheshire Cat. I’m always a little sad when people call him “the Mad Hatter”. It just means they haven’t really read the book.